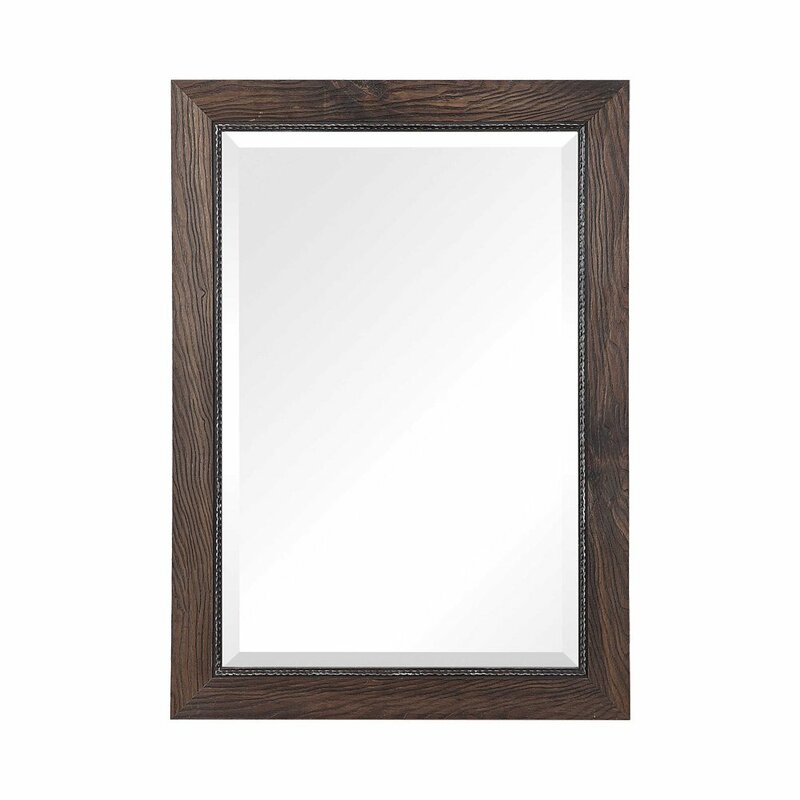 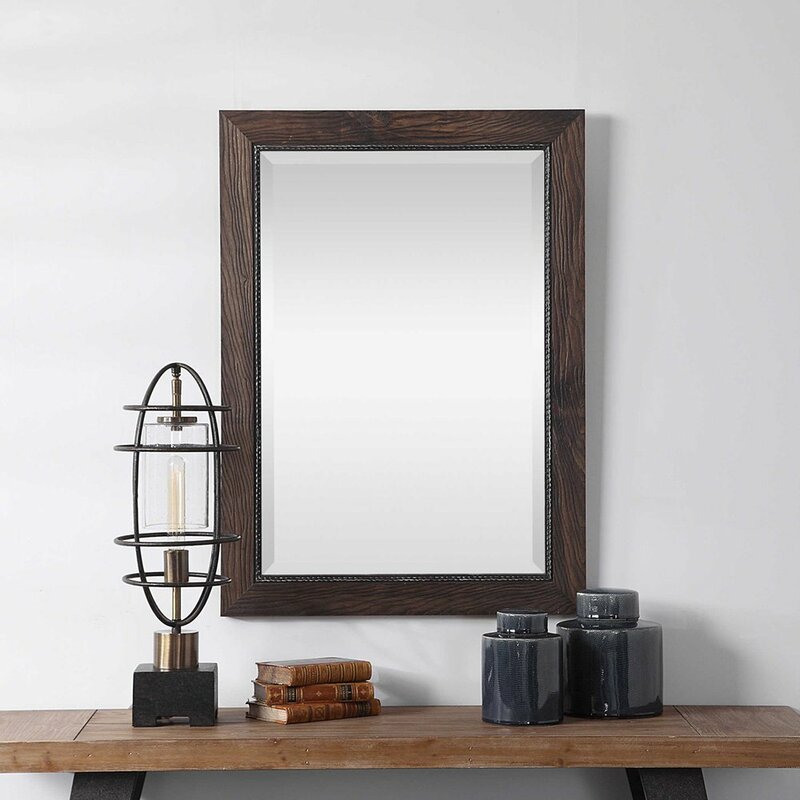 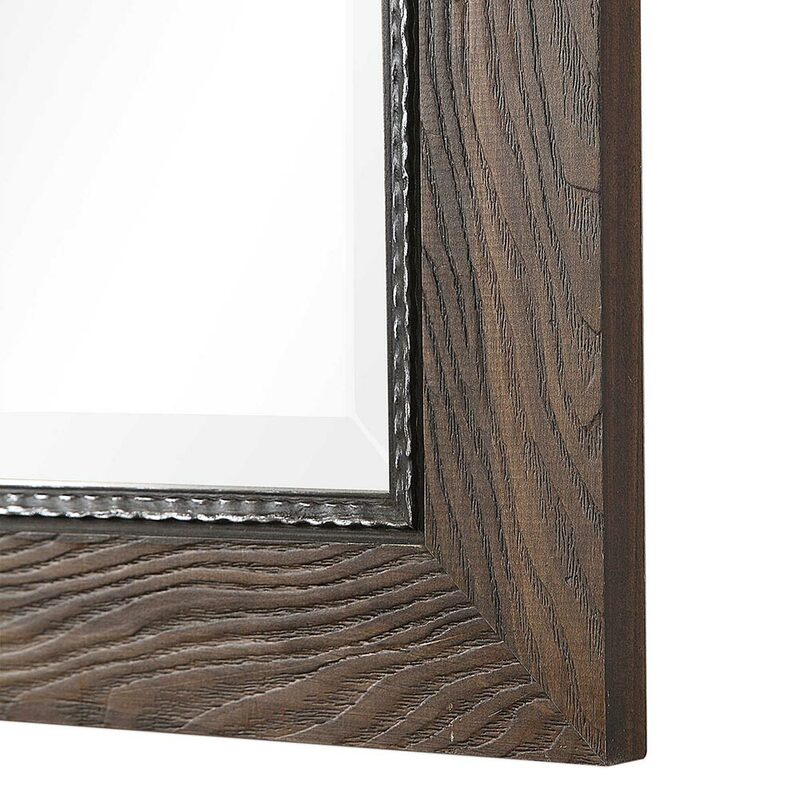 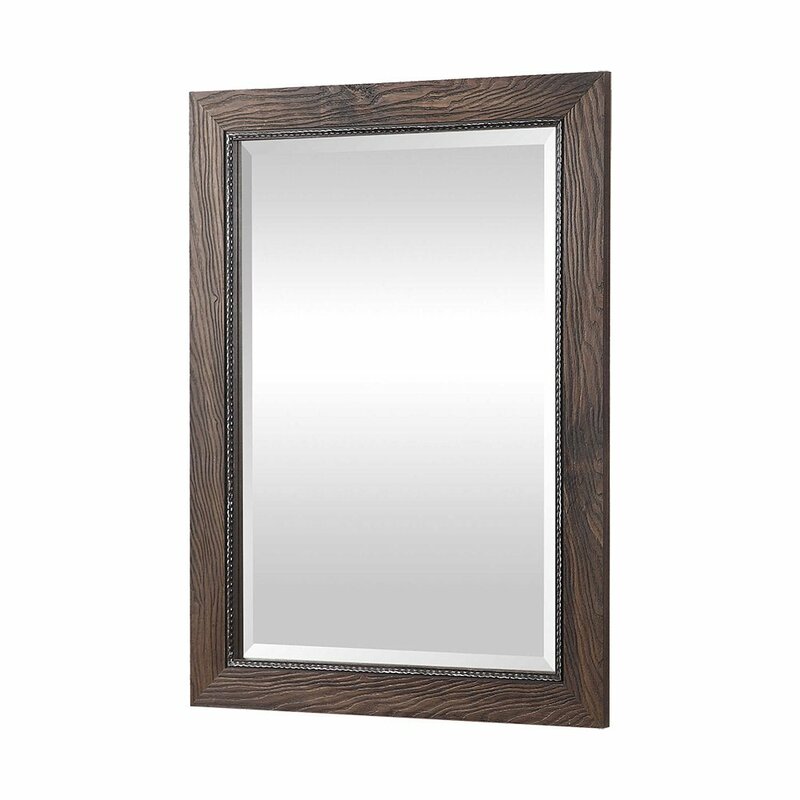 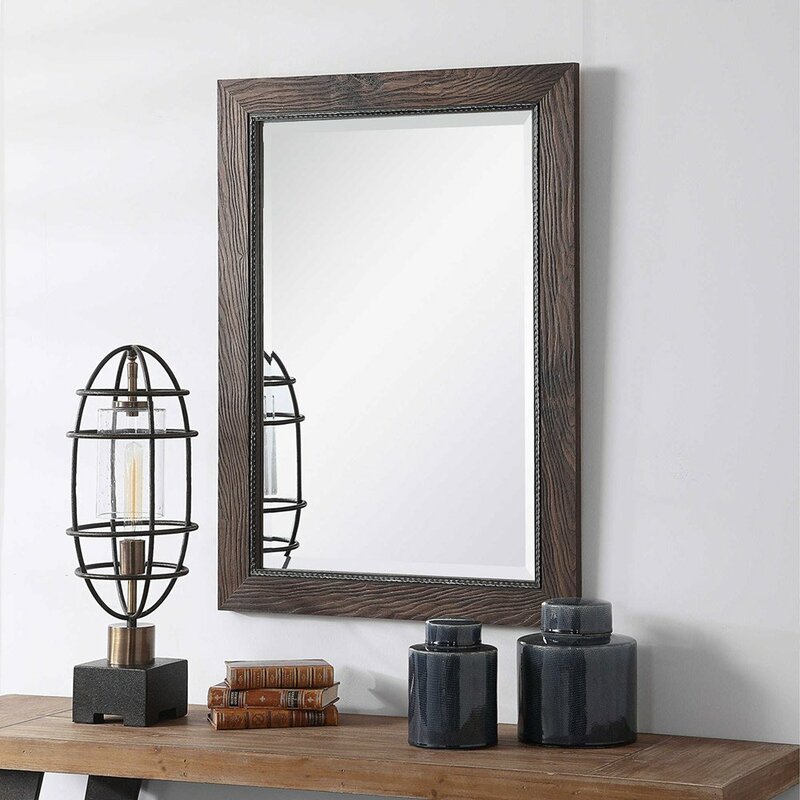 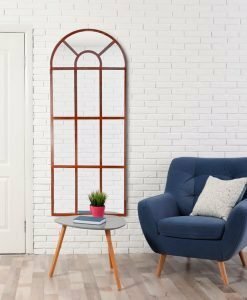 This rectangular mirror is surrounded by a solid pine wood frame with noticeable wood grain texture finished in a dark walnut stain. 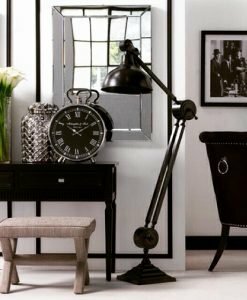 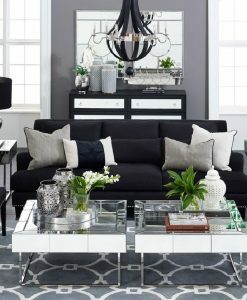 An antiqued silver decorative inner liner completes the piece. 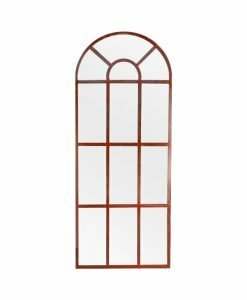 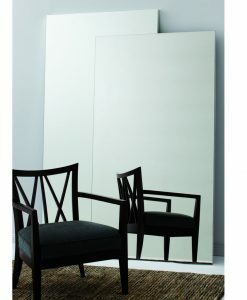 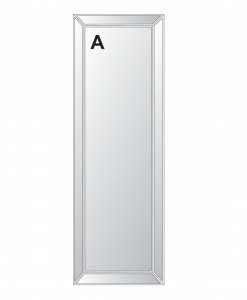 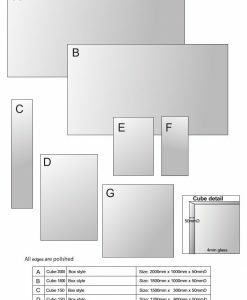 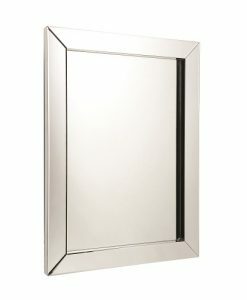 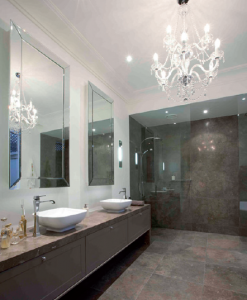 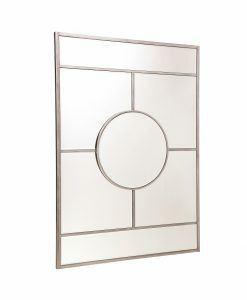 A 2.5cm bevel is included on this mirror and may be hung horizontal or vertical.